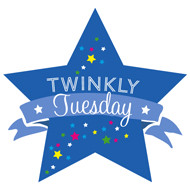 Twinfant Tuesday: Little Victories | How Do You Do It? I completely agree to find those small victories and feel good about them! Unlike in school where you get a report card…unlike at work where you get feedback from your boss…at home there’s no one there to give you a pat on the back during the day. You have to celebrate yourself in some way, no matter how small.